SEOUL, March 22 (Korea Bizwire) – The South Korean government said Wednesday that it plans to move forward with the process of raising the Sewol ferry from the bottom of the sea if mild weather conditions continue. “The hull was carefully test lifted up one meter from the sea bottom,” the Ministry of Oceans and Fisheries said in a release. The hull had been left at a depth of some 40 meters for nearly three years since it sank off the country’s southwestern coast near Jindo Island in April 2014. The sinking, the country’s worst maritime disaster, left more than 300 people dead, mostly high school students on a school excursion. Nine of them still remain missing. The actual lifting of the vessel is expected to take three days under the best weather conditions, it added. 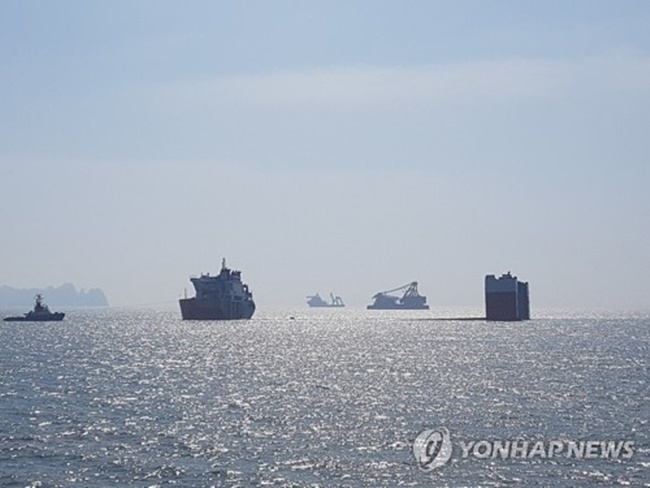 Efforts to lift the 145-meter-long, 6,825-ton ship began at 10:00 a.m. with two salvage barges and a semisubmersible ship, which will haul the ferry to the port of Mokpo. It took several hours to decide whether to start lifting the ship because the sea needs to be fairly calm, meaning waves must be under 1 meter and wind speeds need to be below 10 meters per second. 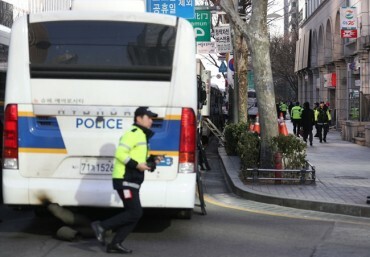 Earlier, the Seoul government decided to pull the ferry out of the water intact in order to protect any remains of the people still missing from the tragic sinking. The 85.1 billion-won (US$72 million) project to recover the ship is being conducted by a Chinese consortium led by China’s state-run Shanghai Salvage. Divers have worked on making the ship buoyant by injecting air into tanks in the vessel and installing large balloons and other flotation devices.